Join the fun! Saturday, December 8 for the 7th Annual Santa Speedo Dash Fundraiser benefitting the Central Ohio Diabetes Association. New for this year, two party locations. The Three-Legged Mare and Boston's the Arena District for the Family Fun Fest. Santa Speedo Dash for Diabetes Fundraiser! to fund programs, services and camp for those living with diabetes. 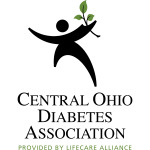 Central Ohio Diabetes Association Facebook page! Save the date for the 2019 Santa Speedo Dash! Tentative date Saturday, December 14th 2019! in the subject line, add Santa Speedo Dash notification. Speedos are encouraged, but not mandatory. Get into the fun with your festive holiday wear! Registration will also be available the day of the event until 11:30 am via online event registration. (for our friends 21 and older). if you intend to have any alcoholic beverages. Congratulations to the individuals that raised $100 before November 1! Individual fundraising pages are automatically created for each participant at registration. Use your race site log-in information to customize your fundraising page, add photos and share why raising funds for those with diabetes is important to you! The weather forecast is currently predicting a cold day, please dress in layers if needed and have hats, gloves, scarves if you need them. Please keep money/credit cards, phone or purse/backpack on your person. Coat Check will be available 10:30 am until 1:15 pm inside each venue. Party admission is free. Donations from event attendees are welcome! Registration volunteers will be accepting donations via pledge cards, cash or check. We will take credit card information via pledge card. Contests and Awards, start at 1:30 pm at The Three-Legged Mare. Fastest overall runners (male and female), Individual fundraisers, Top Fundraising Teams, and Best Dressed Dasher Contests.The Santa Speedo Dash event concludes at 2 pm. We will NOT have advance packet/bib pick-up this year. Event participants are asked to stop at event registration between 10:30 am-11:30 am at either The Three-Legged Mare (for the original party) or Boston’s (Family Fest). 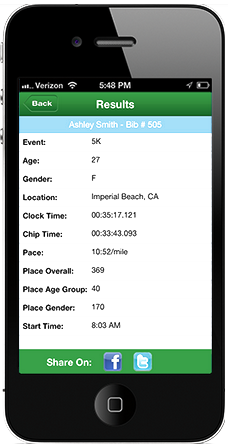 Participants for the 5K will have the option of choosing the anklet timing device OR bib timer. Note: 1 mile walkers do not receive a timing device. Anklet timers must be returned at the finish line with our event volunteers or there could be a fee charged. Registration volunteers will ask you to confirm your name, age and route (5K or 1 mile). Post-run beer provided by Sam Adams of Columbus (for our friends 21+). Please bring a photo ID if you plan to have alcohol beverages, guests will be carded for drinking age verification. Run starts at 12:00 Noon, walk starts after runners immediately after. Please note race route will shut down at 1PM. If you cannot walk a 5K in 1 hour, please walk the 1 mile route. Pre/Post-Run Family Fest: Boston's Pizza, Special offerings for our younger Dashers! 191 W. Nationwide Blvd., Columbus, OH 43215 614-229-4275. Prizes and Award location from 1:30pm to 2pm at The Three-Legged Mare. Best Dressed Male and Female Dashers --over $350 in prizes for this contest! Fastest Overall Males and Females! 12:00 Noon on December 8th. Parking is self-pay and is located in and around several locations of the Arena District/North Market. Choose the location that works best for you. Please note that meters have recently been removed on portions of Nationwide Blvd. Boston’s is located near Tim Horton’s. Participants, under 16 should have a parent or guardian with them. Do I have to wear a speedo to participate? Speedo’s are not mandatory. We recommend that everyone have fun and dress to impress in holiday colors and athletic clothing. Be comfortable, have fun. Wear festive hats, etc. Families do participate in the event, so we ask that you keep behavior and clothing in mind (thongs are discouraged). How do I make additional donations? Donations toward an individual fundraiser or team can be made via the event website at http://speedodash.itsyourrace.com . Donations made prior to 12:00 Noon on December 8th will be included for the fundraising contest. What if I cannot attend on race day? You may pick-up your participant headband during normal business hours at the Central Ohio Diabetes Association (Mon-Fri 8:30am to 5pm) after December 10 at 1100 Dennison, Columbus, OH 43201. Convenient and free parking is located in the rear of the building and in the school lot behind the agency. Please call 614-884-4400 and let us know you would like your item held at our office or email Candice at claframboise@lifecarealliance.org . Is this event stroller friendly? The run or walk itself would be stroller friendly. The Three-Legged Mare and Boston’s may be challenging to navigate a stroller, because the venue is very busy. A Team Captain will need to register first, then each person can register individually. Each team member will need to indicate the team that they are joining by indicating the team name. There will be one portable restroom available at the race start/finish line. Thank you to our Premier Event Partners and Sponsors!